Saratoga Springs, New York (pop. 5,600 28,000), has launched a Smart City Commission, whose mission is to enhance telecommunications and help the city become a leader in high-speed Internet service. High-speed Internet is necessary infrastructure. Broadband is a community-wide endeavor. The Commission’s members include chief information officers from the city, library, hospital, school district, as well members of the city’s convention and tourism bureau, the Chamber of Commerce and local business community. 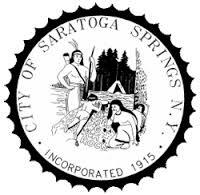 Membership in NCC will allow Saratoga Springs access to a network of knowledge from other cities that have the same desire to bring ubiquitous high-quality Internet access to their communities. The Intelligent Community Forum is a worldwide association of cities and regions dedicated to helping communities use information and communications technology to, among other things, address social problems and enhance the economic quality of local life. “I am looking forward to the road map we develop as a first phase to planning to become smart and intelligent. I would like to become a Gig [1 Gbps] city, but cost is an issue. A good goal, at this point, could be 300 Mbps down and 50 Mbps up." Broadband and Internet access at globally competitive speeds are no longer optional luxuries, but have become essential resources for residents, businesses, service providers and government. Municipal broadband has been a success for those communities that have begun offering service. It is no surprise. Historically, local government has always corrected market failure by providing essential services. The driving force for efficiency in these networks is not profit maximization, but public service. The money saved through cost reductions stays in the community. Public networks have increased broadband competition, not reduced it, and they have resulted in lower prices. The propaganda maligning municipal systems is nothing more than industry-sponsored folklore.